Read Omnibus Bill - Surprising Little Nuggets Hidden In Mammoth Bill As President Trump Announces "Build WALL Through Military"
The one thing that liberals celebrating the 2,200+ Omnibus Bill just passed and signed by President Trump have in common with unhappy Trump supporters, is that no one celebrating or complaining has actually read the mammoth bill. It is bad, make no mistake, but the claims the mainstream media has managed to program into the minds of the public are also very misleading. The entire Omnibus bill is embedded at the bottom of the article, but we will be addressing some specific points from it below. A federal budget is an itemized plan for the annual public expenditures of the United States, Via Investopedia: "Expenses made under the budget are classified as either mandatory or discretionary spending. Mandatory spending is stipulated by law and includes entitlement programs such as Social Security, Medicare and Medicaid. Such expenses are also known as permanent appropriations. 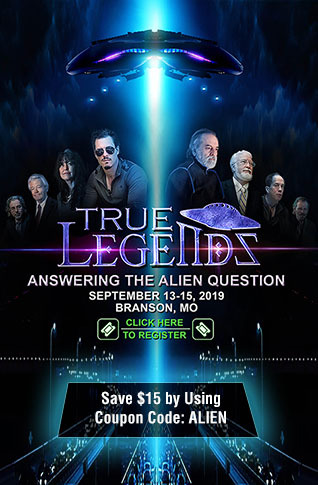 Discretionary spending is spending which must be approved by individual appropriations bills...."
Since 2009 Congress has appropriated funds to keep the government open with Continuing Resolutions and Omnibus bills rather than proper federal budget legislation. An Omnibus bill provides all discretionary funding for all of the 12 annual Appropriations bills that are required to fund the government, wrapping them all into one mammoth bill, while throwing in "pork," as backroom wheeling and dealing for votes for special pet projects and funding continues to be the subject of justified criticism. An Appropriation bill authorizes the expenditure of government funds and sets money aside for specific spending, with instructions/suggestions on how the money is to be spent, but actual distribution (spending the money congress appropriated) is done by the administration. Cited by Encyclopedia.com , Louis Fisher succinctly explains the process in the most understandable terms, stating "On the basis of the Constitution and traditional legislative prerogatives, Congress lays claim to exclusive control over the purse. Nevertheless, while it is up to Congress to appropriate funds, it is also true that the President and the executive branch enjoy considerable discretion as to how those funds are spent. Examples from both the Obama administration and the Trump administration clearly shows that despite Congressional "instruction" or suggestions, presidents enjoy considerable flexibility in interpreting those instructions. For example, in the Omnibus bill for 2012, when Congress attempted to block funds from being used to "advocate or promote gun control," he would not "construe these provisions as preventing me from fulfilling my constitutional responsibility to recommend to the Congress's consideration such measures as I shall judge necessary and expedient." Another example of presidential flexibility comes from August 2017 reports showing that despite Congress allocating funds for the State Department, some $80 billion, the Trump administration simply didn't "spend it," causing Sen. Ben Cardin of Maryland, the ranking Democrat on the Senate Foreign Relations Committee to complain "We've seen just too many instances these past few months ... where there is clear congressional intent and funds provided, yet an unwillingness or inability to act." Politico reported at the time that funds allocated by Congress for the Norwegian Refugee Council USA, which works with Population, Refugees and Migration bureau at the State Department and the Office of U.S. Foreign Disaster Assistance at USAID, was complaining they thought the Trump administration was slowing down the "disbursements of money." In the new Omnibus bill one of the small details that has largely been left out of the conversation is a portion of the bill that provides "cross agency funding flexibility." The omnibus also gives agencies some flexibility to transfer unused funds to use for broad, governmentwide initiatives. Specifically, the budget lets agency heads transfer or reimburse the General Services Administration any funds made available during the fiscal year or rebates from charge cards and other contracts to use in support of governmentwide IT modernization, procurement or financial projects, or management initiatives. Agencies must get approval from the Office of Management and Budget. GSA will administer the transfer. They’ll work with inter-agency organizations, such as the President’s Management Council, Chief Information Officers Council and Chief Human Capital Officers Council. Total funds for improving inter-agency coordination or reducing duplication can’t exceed $15 million, while total funds for government priority goals can’t exceed $17 million, the omnibus said. Congress has 15 days to reject these transfers. Otherwise, agencies can move forward with these transactions on their own. The Wall: Another complaint seen quite a bit across the internet is the claim that the border wall is not funded, but a look at provisions within the bill, in conjunction with President Trump's statement announcing his signature on the OmniBus bill, shows that the funds are there, and legally can be used to fund the entire wall, if Trump chooses to do so. In President Trump's statement, he included some very specific terminology in relation to the border wall, saying "I want to address the situation on border security, which I call national defense. I call it stopping drugs from pouring across our border. And I call it illegal immigration. It’s all of those things. 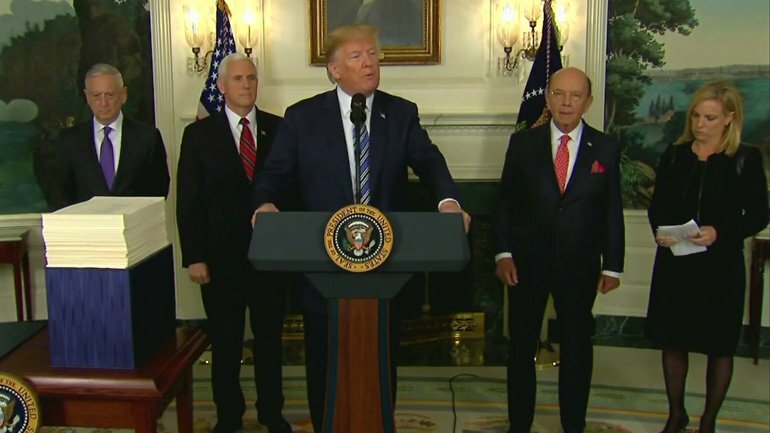 But national defense is a very important two words, because by having a strong border system, including a wall, we are in a position militarily that is very advantageous......."
CNN called it "odd" and "bizarro," but what Trump did was tie "the wall" in to "national defense," putting it directly under the Department of Defense (DoD) umbrella. The DoD itself received nearly $655 billion in the OmniBus bill, which has been touted in the mainstream media, but what hasn't been focused on is that the DoD was also given more "flexibility" and expanded the DoD’s reprogramming authority, where they can move funds from one account to another, with larger amounts being subject to congressional approval. One of the federal agencies that fall under the DoD is the Army Corps of Engineers, which includes approximately 37,000 civilians and military personnel, considered one of the "world's largest public engineering, design, and construction management agencies," as described by www.army.mil. In July 2017, the Army Corps of Engineers reportedly had already "begun preliminary preparations for the construction of segments of a wall in several places along the border with Mexico, According to NYT (Archive is link here), showing they were involved in the process. While President Trump's statement specifically highlighting the border wall as part of his "national defense" strategy, caused considerable chatter and speculation that he would use a portion of the DoD funding to build the wall, which is estimated to cost approximately $25 billion to complete, his statement on Sunday, pretty much turns that speculation into stated intent. 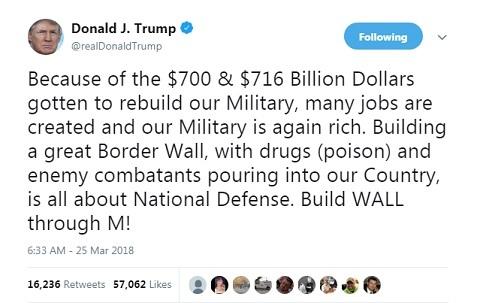 Trump tweeted on March 25, 2018: "Because of the $700 & $716 Billion Dollars gotten to rebuild our Military, many jobs are created and our Military is again rich. Building a great Border Wall, with drugs (poison) and enemy combatants pouring into our Country, is all about National Defense. Build WALL through M!" 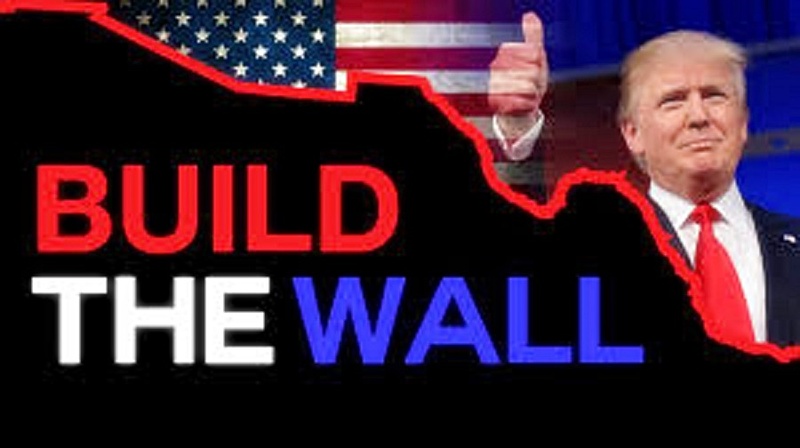 So, while Democrats were dancing a little jig about only providing $1.6 billion for wall construction and limiting what those funds could be used for, specifically barring any of that $1.6 billion from building concrete barrier or construction of any of the wall prototypes President Trump has been considering , in the name of "national defense" the wall has just become part of military strategy to prevent "enemy combatants," from entering the United States. As Stefan Stanford touched on in a previous article, the Office of Inspector General also saw a huge increase in funding, mentioned on pages 571, 573, 578, and 581, to the tune of nearly $300 million for a variety of functions, which may or may not indicate that the Inspector Generals across the nations federal agencies are expected to be very busy in 2018. Related: As Investigations Of Misconduct Mount, Can Hillary Clinton Avoid Jail? The DOJ OIG has spent over a year investigating the actions of the FBI/DOJ actions in the run up to the 2016 presidential election, with Inspector General Michael Horowitz expected to issue his final report within weeks, which is what multiple agency heads have publicly testified to be waiting for in order to determine if criminal charges needed to be filed. The IG investigation has already caused the termination, resignations, and reassignments of nearly a dozen senior level intelligence community employees. Readers are encouraged to weed through the Omnibus bill embedded below and highlight portions they think are noteworthy in the comment section. While no one is calling this a "good" piece of legislation, there are hidden nuggets that promote and further the Trump agenda, and complaints, criticisms and praise is always more noteworthy when it comes after people inform themselves by reading the actual bill, rather than just going by what the media chooses to highlight. One thing we should all remember is that the media has set themselves up as an "opposition" party to President Trump and it has been their main goal for the last two years to turn Trump supporters against him and cause infighting among them, which is why much of the "good" contained within the bill, things Trump supporters would like, is not being reported by the MSM. Highlights of the omnibus bill can be found at the Committee Of Appropriations website.